It hardly matters if you have a big family or just you and your lovely pet member – multiple inhabitants in a house always call for catering various needs. 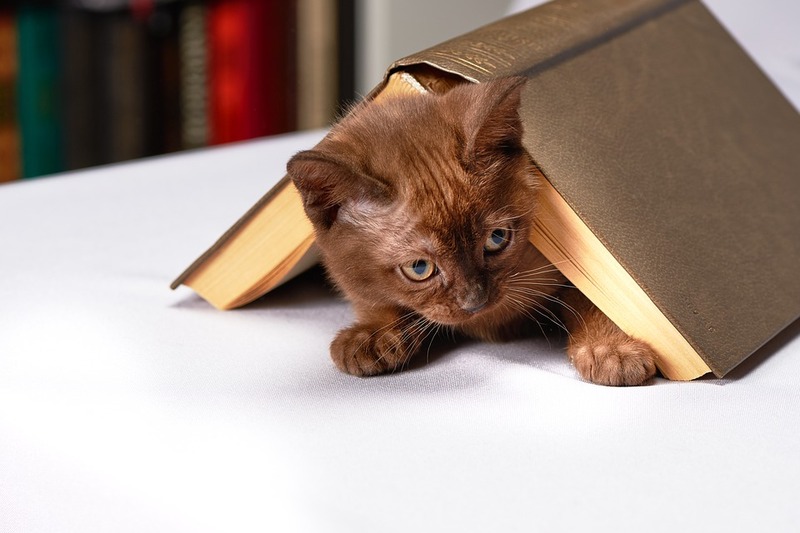 And probably as a homeowner, you are providing all the needs of your adorable pet. But do you pay attention to your home’s thermostat setting while leaving behind your pets alone at home? 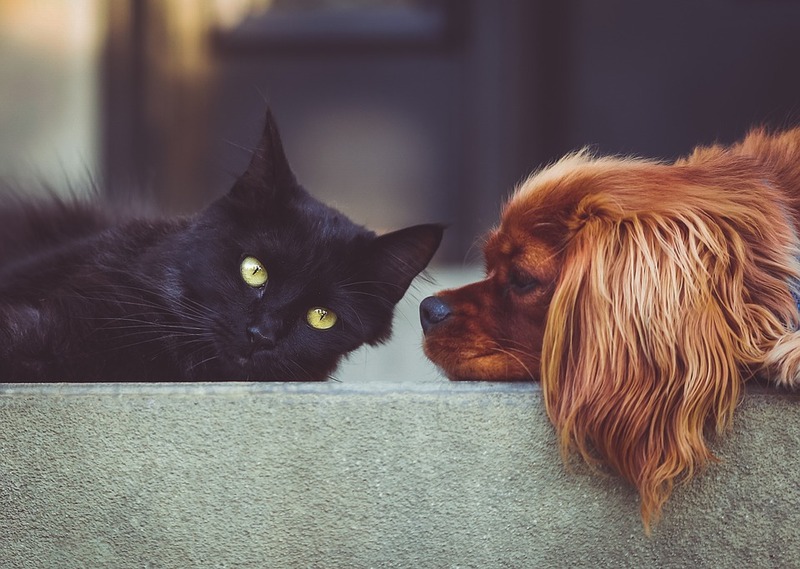 It’s true that pet animals like dogs, cats or rabbits can survive at the temperature ranges from 30 F – 115 F. (Read more about Thermoregulation in animals) But the pet animals usually grow up in pleasant ambient temperature. Moreover, they don’t feel similar in the same temperature as you feel. Hence, extra care should be taken while setting the temperature of your home’s HVAC system for your pets well being. How does room temperature variation affect a pet animal? Pets have their own biological temperature control capability. Hence, they easily adapt to the temperature they usually grow up in. This means they are comfortable with the same temperature as their homeowners. However, like a human body, a pet’s body is also prone to disease and uncomfortable feeling for abrupt temperature changes. The reason behind it is, though a pet’s body can regulate its body temperature to the comfort level of the home temperature, it can’t control the impact of sudden temperature change on its body. 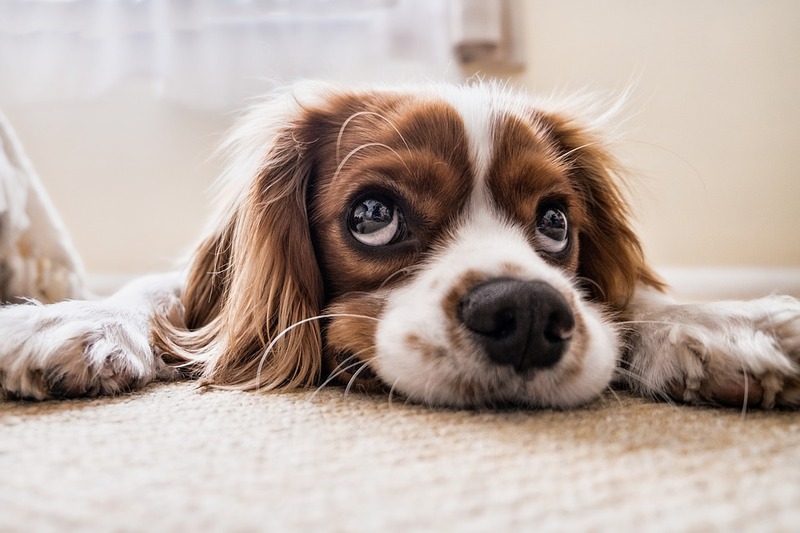 So, the rule of thumb is while lowering or increasing the temperature of the thermostat it should be set comfortable for you, and so for your pet! And switching off the thermostat either in summer or winter is not at all a good idea. This will leave a pet in a miserable condition with either extremely hot or cold temperature. It’s not only your perception or “own feeling” that should be based to adjust your home’s thermostat setting. There are many other factors which should be considered because not all dogs or cats belong to the same league. The first factor is to identify how acclimated they are to temperature changes. #1 – Origin and Climate zone: A dog that lives outside most of the time in a hot and humid climate can tolerate higher temperature and humidity. On the other hand, a dog that is shifted from a colder zone to a hot climatic condition like 90F needs a warm surrounding. #2 – Age:- is a prime factor for pet animals which affects their senses and body temperature regulation capabilities. With age, animals cannot cope well with abrupt temperature changes. Cold atmosphere could cause joint pains, numbness or other health issues. On the other hand, hot surroundings leave them with risk of dehydration. Again, kittens or puppies need higher temperatures than adult ones. Because it takes time to develop their body temperature controlling system after birth. Hence, they prefer to keep their body warmer. Otherwise, they can suffer hypothermia even in normal room temperatures as they posses lack of capacity to retain body heat. #3 – Breeds: The physical & genetic traits (breed characteristics) plays a vital role in temperature balance & regulation. For example, a dog with double coats (a coat works as an insulation layer for animals) feels warmer than a slick coated dog. Similarly, a Siberian cat with long hair feels warmer than a cat with less hair. #4 – Size: The size of the pet animal also decides their heat retention capacity. For example, a smaller cat or dog with slim structure normally carries less fat. Hence, they need more heat to keep their body warmer. On the other hand, a fatty dog or cat retains more heat due to their body fat. #5 – Health: Your pet may undergo different health conditions. If your darling has a thyroid problem, it cannot tolerate too much heat. Similarly, if the animal is suffering an infection or other types of sickness, they need a warmer environment. Further, if the pet is diagnosed with hormonal imbalances, or any organ conditions of heart/kidney, or a medical condition like diabetes, they could not maintain regular body temperature themselves in such conditions and are prone to get sick with changes in weather. What is the best temperature for pets in summer and winter? Of course, it depends on the type of pet animal that belongs to your home. Here we will discuss from the perspective of dog and cat. Dog’s normal body temperature runs a little higher (3-4 degrees) than humans. However, their comfort levels are same as humans. Hence we advise not to leave them at freezing temperature (32F) or too hot temperature (105 F). The recommended thermostat setting during summer is from 78 degrees F and 69 degrees F in the winter. However, as mentioned above several factors play significant roles in their sensitivities. Hence, a pet’s discomfort level should carefully be monitored before setting the thermostat temperature level. Usually, cats can tolerate quite high temperatures than humans as they evolved in the desert. Cats can easily tolerate up to 126 F, and without any discomfort up to 133 F. However, it is ideal to maintain thermostat setting between 86 F and 96 F during summer. During winter keep the temperature between 78 F and 80 F. However, if the cat is less tolerant to heat then maintain the temperature between 60F-68F. As we mentioned above, sudden temperature change affects pets adversely especially dogs. Though they have their own sweat management capability or panting ability, they cannot cope up well with extreme conditions. Moreover, this leaves them in an uncomfortable situation sometimes making them furious or away from normal behavior. To conclude, always consider the factors mentioned here before setting the thermostat in any weather condition. 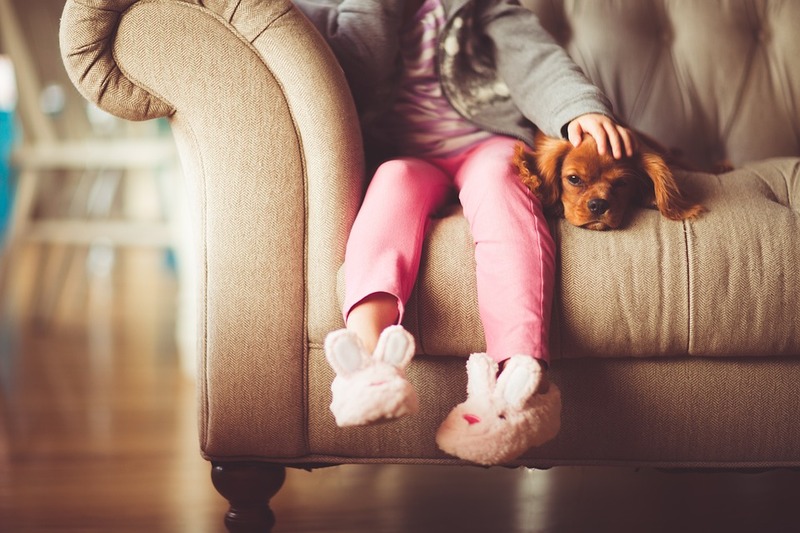 From energy-saving invest in a programmable thermostat to get rid of an extra headache while maintaining a healthy and comfortable living for both of you and your pet. And last but not the least during your pet’s veterinarian check-up make sure your thermostat setting is working well for them, or whether it is causing any potential health issues for them. Research and invest in your thermostat and its setting to ensure a healthy life for your loving pet!